An Garda Siochana paid the Communications Clinic €10,400 and €92,955 in 2015 and 2016 respectively. On Thursday, July 13, 2017. The former Garda Commissioner Nóirín O’Sullivan was asked about this sum of €92,955 by Fianna Fáil TD Marc MacSharry, in a meeting of the Public Accounts Committee. 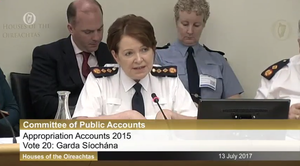 Ms O’Sullivan told the committee the money would have been used to train gardai to deal with local radio and media. “As part of our modernisation and renewal programme, we have committed to opening up the organisation. I do not have the exact breakdown here, but maybe some of my colleagues do. “The moneys would again have been spent on training Garda and civilian members around the country for interaction with local radio and local media, for example, on some of the information messages that would have gone out around Operation Thor and the “lock up and light up” campaign. 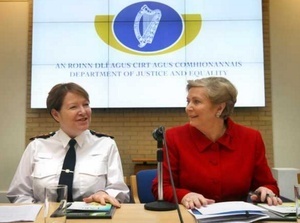 Yesterday, John Mooney, in The Sunday Times, reported that the Disclosures Tribunal is examining advice which Terry Prone, of the Communications Clinic, gave to the former Garda Commissioner Noirin O’Sullivan in May, 2016. Ms Prone gave this advice after it emerged that claims made by Ms O’Sullivan’s senior counsel during the O’Higgins Commission of Investigation in 2015 – that Garda whistleblower Sgt Maurice McCabe was acting out of malice – were proven to be untrue and journalists were asking Ms O’Sullivan for a comment about the same. “The tribunal has been notified of email exchanges between senior gardai and Prone from May 2016, when the PR executive was consulted on the wording of a statement issued by the garda press office in response to media queries about O’Sullivan’s approach to McCabe at the O’Higgins Commission hearings. “…Charleton has been given statements and documents that show Garda Headquarters held a meeting to discuss how it would respond to the issues identified by O’Higgins. 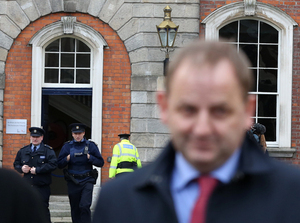 The Garda press office later released three statements on the report and the leaked transcripts. 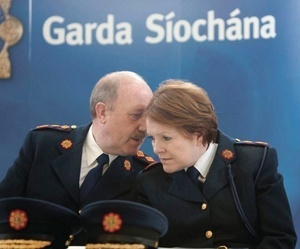 “Prone advised O’Sullivan on the second statement, which was released by the garda press office. It was an attempt to clarify the then commissioner’s role after newspapers published transcripts of the commission’s hearings. The statement, released on May 16, quoted O’Sullivan as saying she believed “dissent was not disloyalty” and she never regarded McCabe as malicious. It added that she was legally precluded from commenting on matters discussed at the commission. Two separate attempts earlier this year, by journalists Ali Bracken, of the Irish Daily Mail, and Ken Foxe, to obtain details of An Garda Siochana’s hiring of the Communications Clinic, under the Freedom of Information Act, have been rejected. The Department of Justice paid the Communications Clinic €2,336, €756 and €24,221 in 2014, 2015 and 2016 respectively. Two weeks ago, the Department of Justice released a series of emails which showed how, on Saturday, July 4, 2015, RTÉ journalist John Burke sent a press query to the Garda Press Office. Mr Burke asked about the former Garda Commissioner Noirin O’Sullivan’s counsel questioning Sgt Maurice McCabe’s motivation at the O’Higgins Commission of Investigation. Subsequent to this, in an email from the Department of Justice Secretary General Office Assistant Secretary Ken O’Leary to the then Minister for Justice Frances Fitzgerald, Mr O’Leary stated Ms O’Sullivan phoned him “to let me know they had received queries from Colm O’Nongain [sic] about Sgt McCabe”. Mr O’Leary added that the Garda Press Office was asked “was it the Garda Commissioner who had instructed counsel to adopt an aggressive stance towards Sgt McCabe at the O’Higgins Commission”. 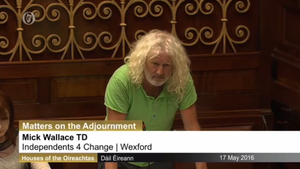 In the end, Ms Fitzgerald wasn’t asked about the matter when she appeared on RTE’s This Week on Sunday, July 5, 2015. Was The Communications Clinic Hired To Deal With Mission To Prey Before It Was Even Broadcast? Posted in Misc and tagged Disclosures Tribunal, Maurice McCabe, Noirin O'Sullivan, O'Higgins Commission of Investigation, Terry Prone at 12:31 pm on December 11, 2017 by Bodger. Not much sympathy for PR ‘guru’ Max over the weekend. Would that be industry-wide? 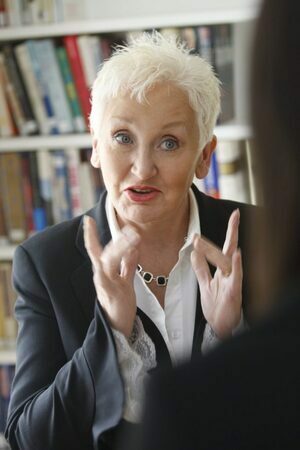 Terry Prone strikes me as someone who would sell her soul if there was a few quid to be made from it. They should be due a refund in fairness.. their public image is in tatters. Was she paid to train people to tell lies in a different way?